Acalm, joyful atmosphere surrounded the Real Madrid squad after a 5-2 victory against Osasuna left them alone at the top of LaLiga, and the team got together with their families to enjoy some time to rest on Sunday for a meal at the Valdebebas training facility. After the starters participated in a recovery session, Zidane’s side are already looking ahead to Wednesday’s Champions League clash against Sporting Lisbon. A surprising Barcelona defeat to Alaves at the Camp Nou, and Sevilla completing a last-minute comeback against Las Palmas left Real Madrid at the top of the table. 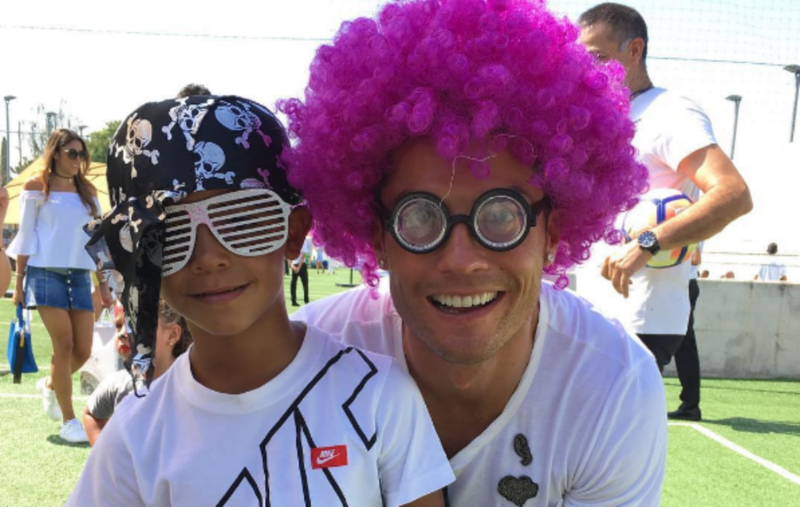 Cristiano Ronaldo, happy to score upon his return and for the team’s comfortable win, was seen wearing a purple wig with his son.